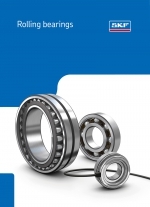 The new version of KISSsoft 03/2016 now contains very latest data from the "Rolling Bearings" catalogue. By cooperation between SKF and KISSsoft, all future releases of KISSsoft will include an updated bearing database from SKF. The previous KISSsoft database contained 4'000 SKF bearings - the new release contains 11'500 bearings as shown in the latest catalogue. In case of major changes to the catalogue by SKF, KISSsoft can deliver a new database to the customer with patch files. This collaboration ensures that KISSsoft users are able to design gearboxes using up-to-date bearing range and bearing catalogue data.